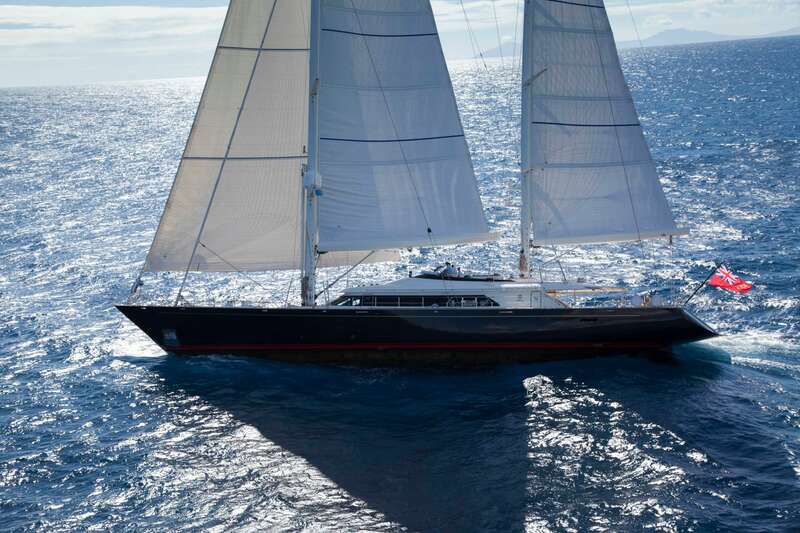 Luxury Perini Navi sailing yacht VICTORIA A(ex VICTORIA, OHANA) is the first of the all-aluminium, high performance 43 meter series with hull lines from Ron Holland. 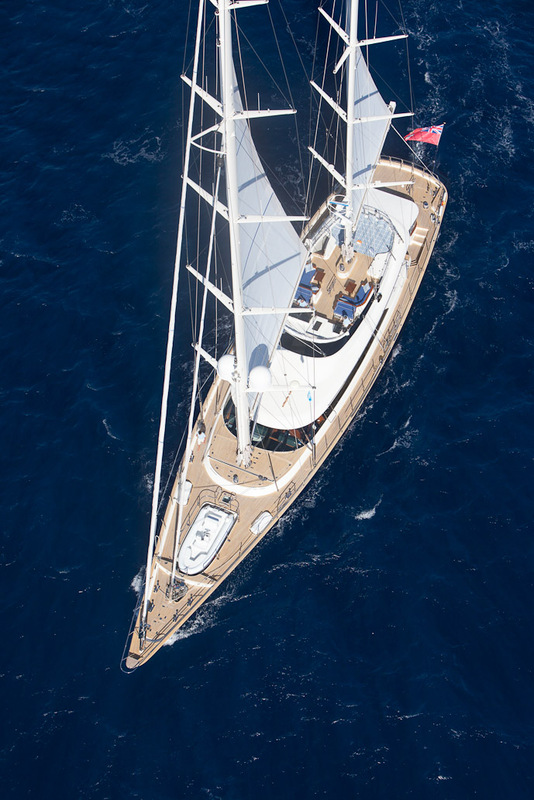 Her carbon fibre in-boom furling system, huge sail area and efficient weight saving build process all ensure superb sailing performance. VICTORIA A features spacious living areas, superb joinery, lavish accommodations, a massive flybridge and a large sunken aft cockpit for dining and lounging and state of the art electronic and mechanical systems. 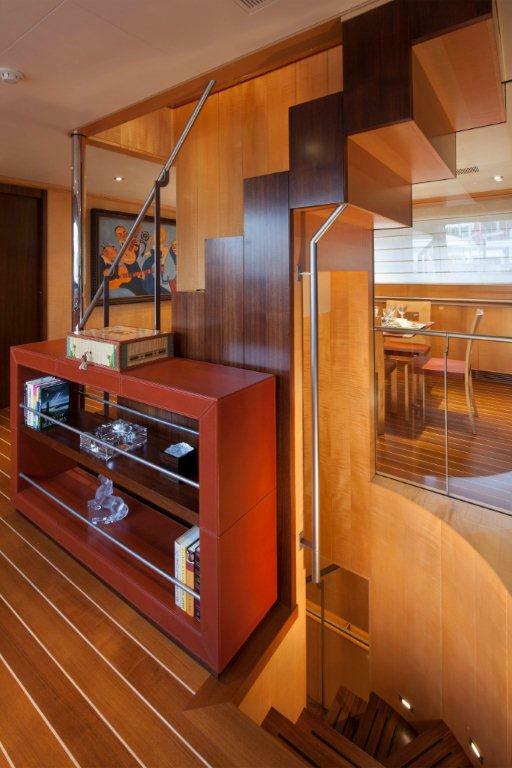 Her striking interior design boasts clean lines with contrasting wood finishes and bold colours. 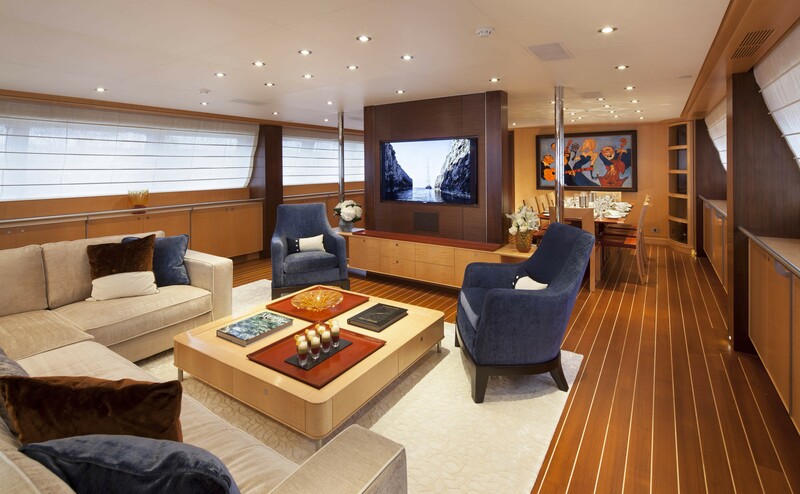 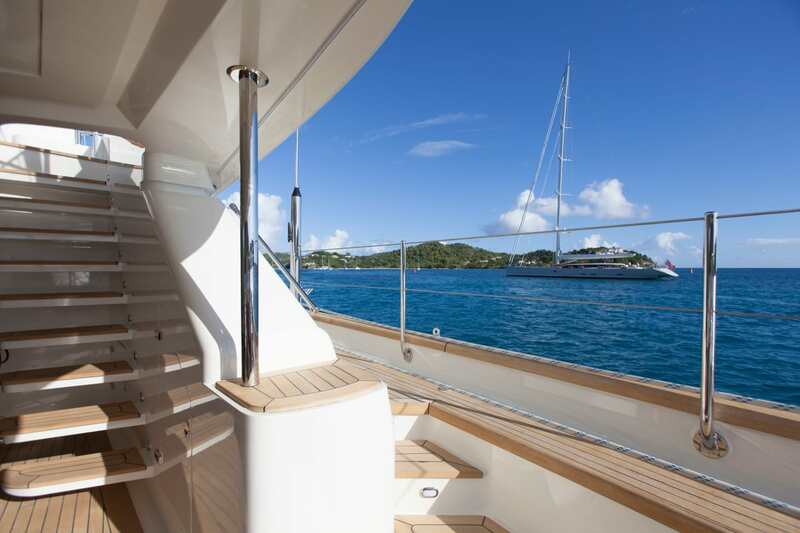 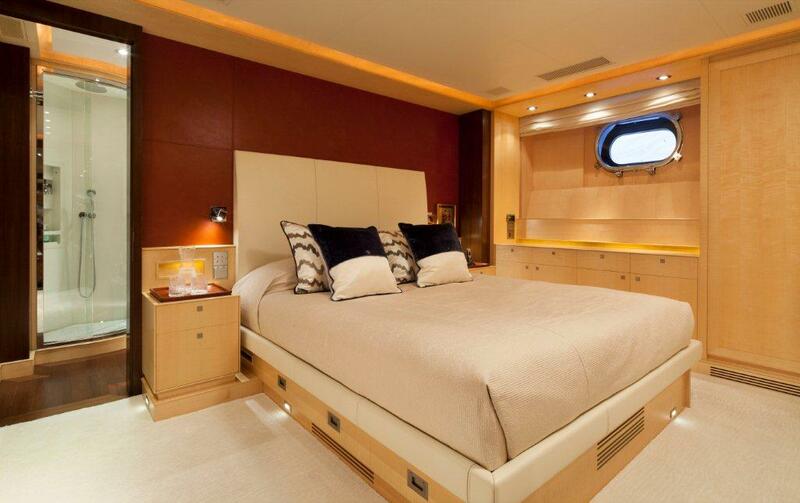 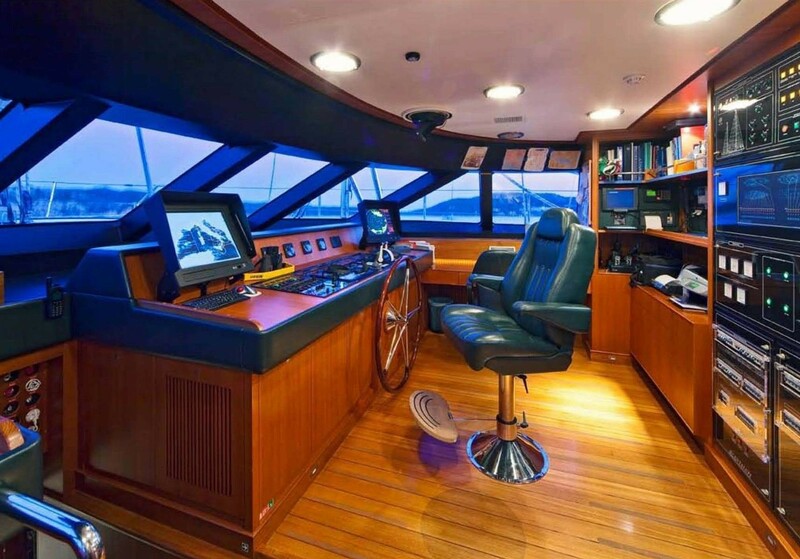 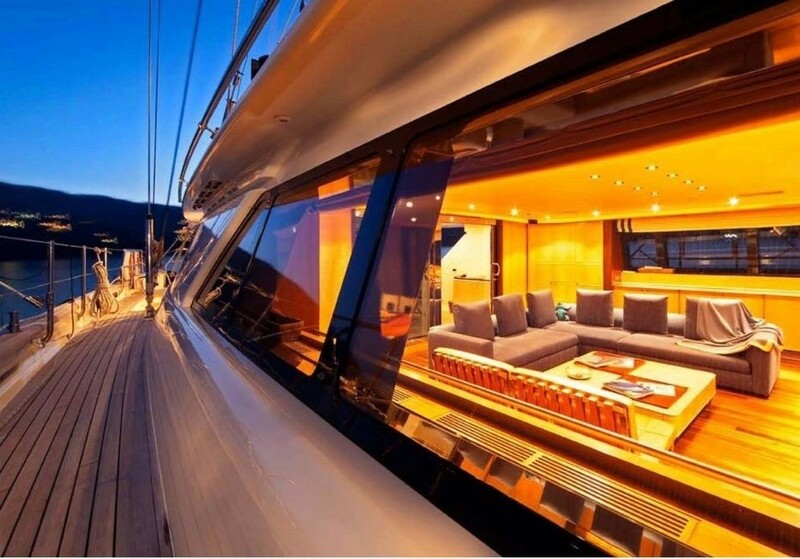 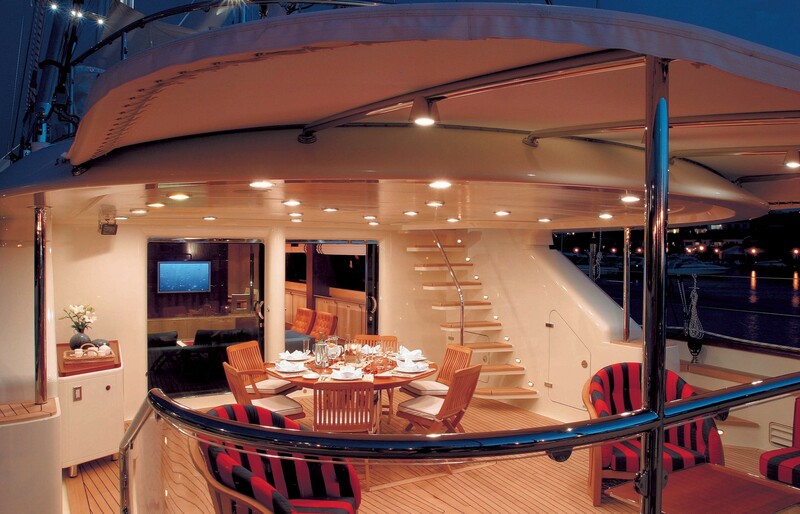 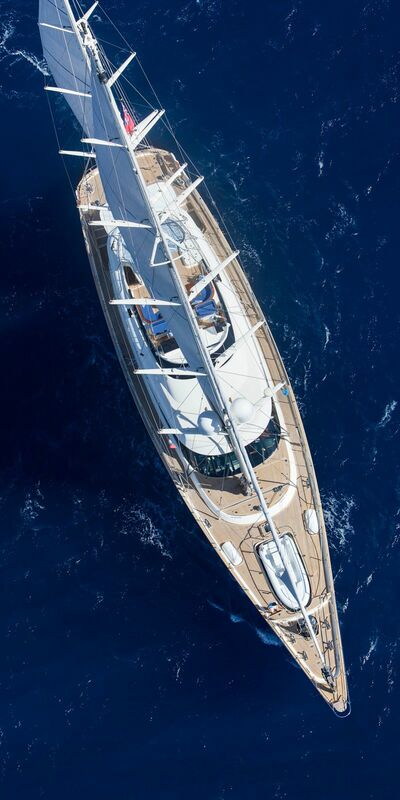 Her enormous fly bridge and wide open main deck give the feel of a much larger vessel. 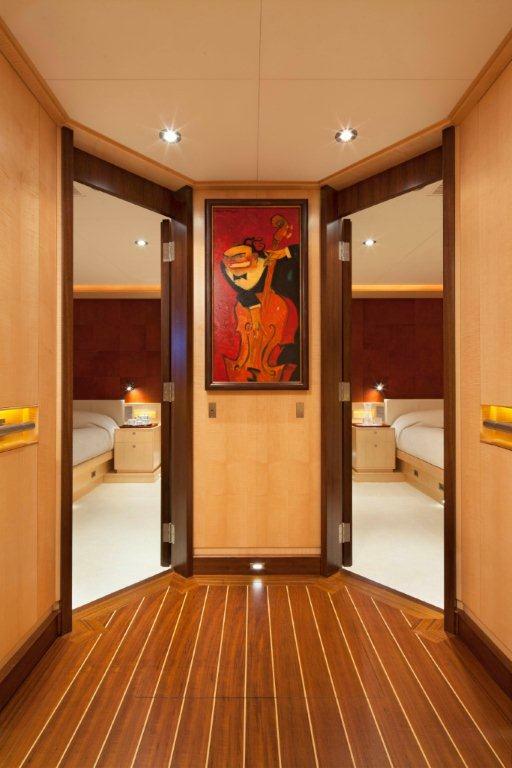 Her Salon features large double doors that open up to the aft cockpit and the outside lounging and dining areas. 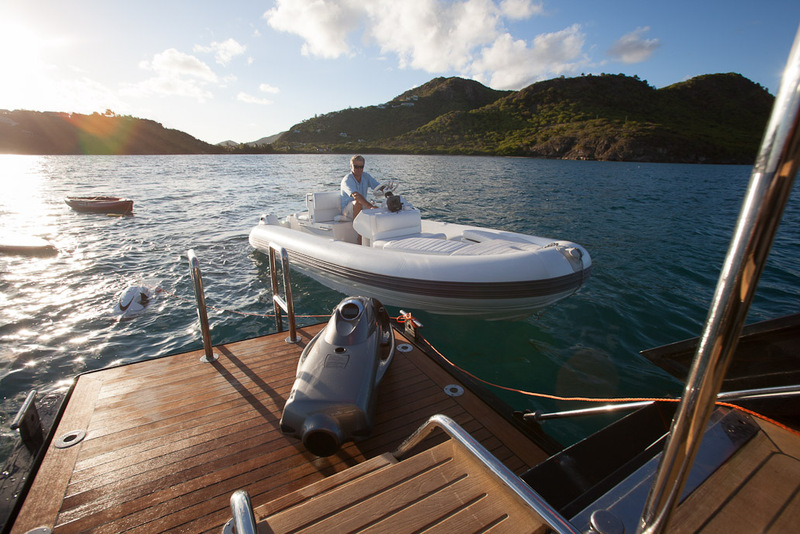 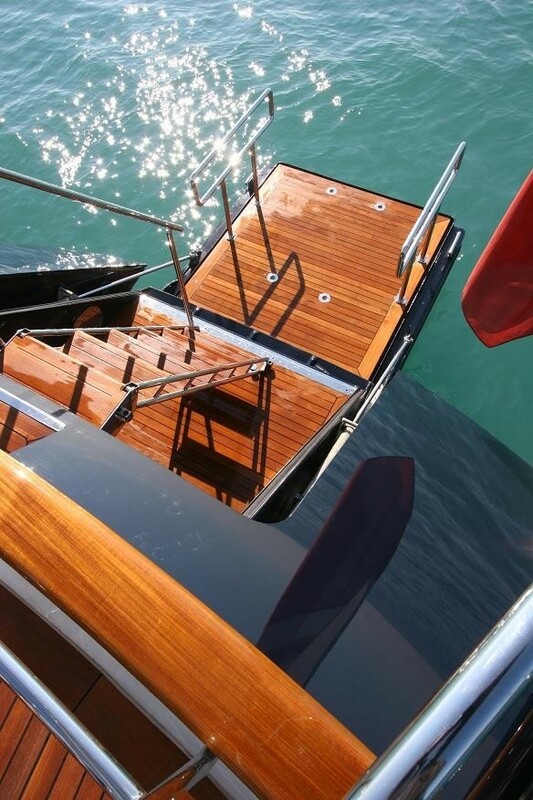 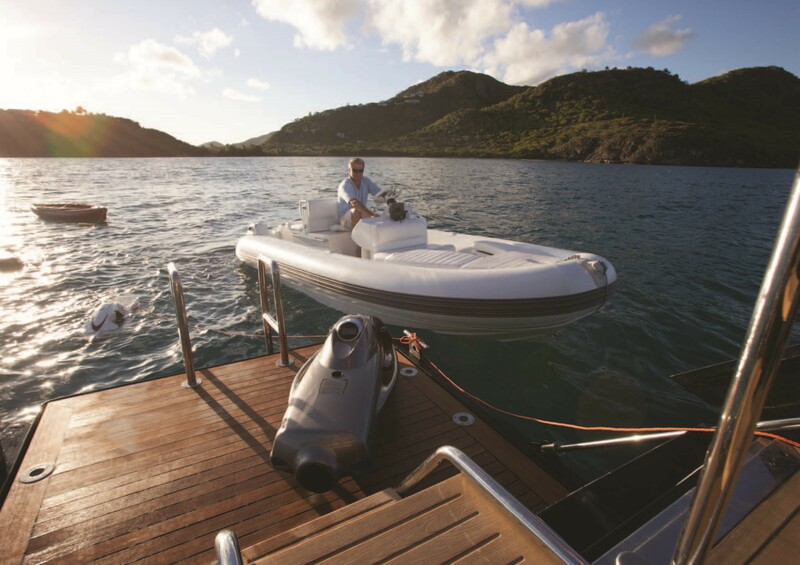 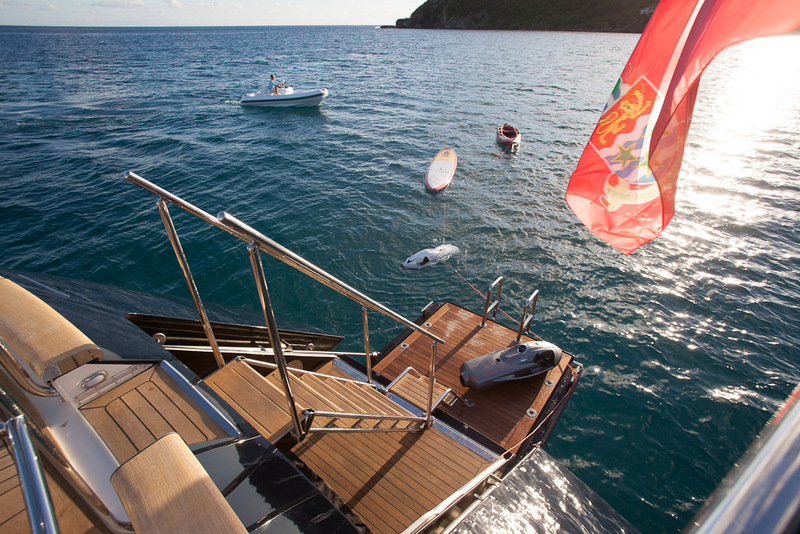 VICTORIA A's fold-out transom enables quick and easy access to the water. 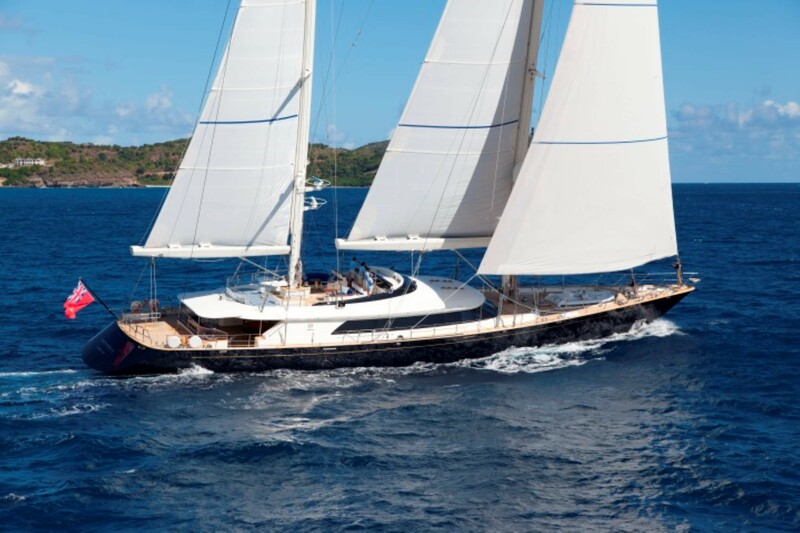 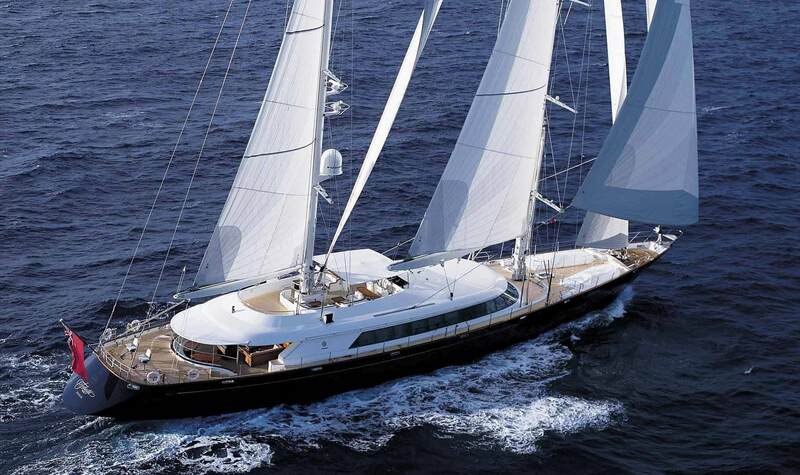 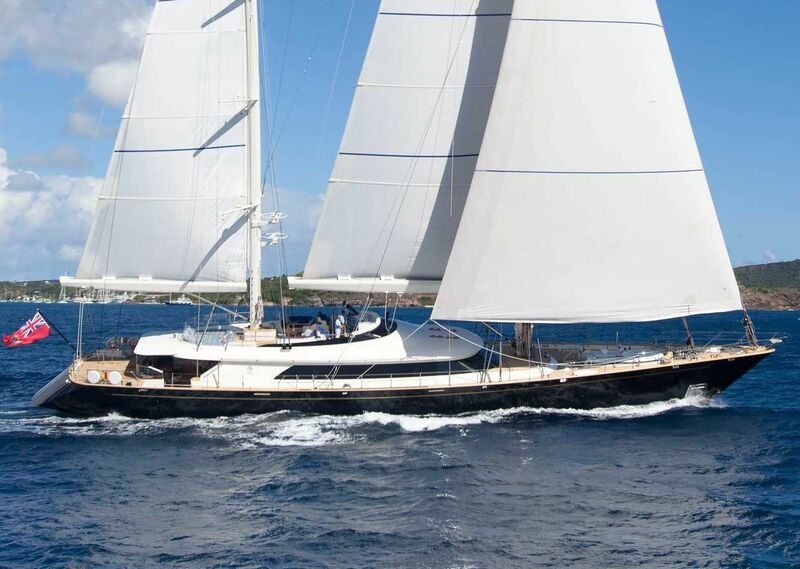 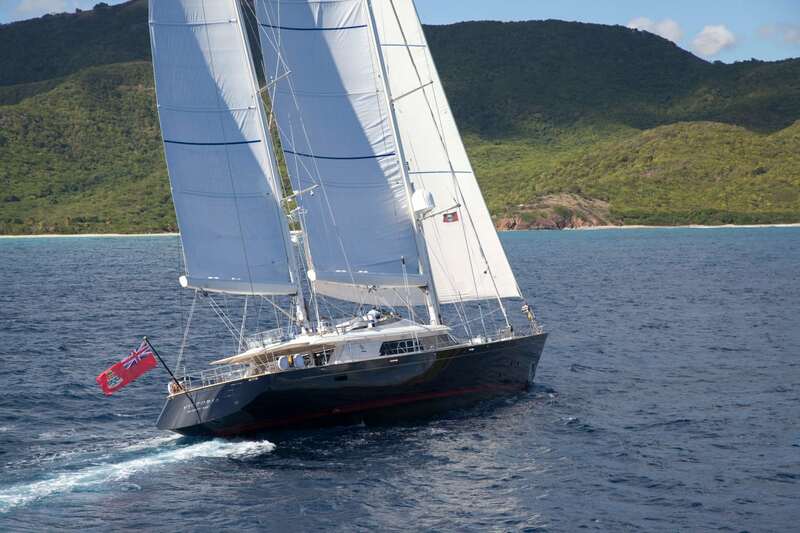 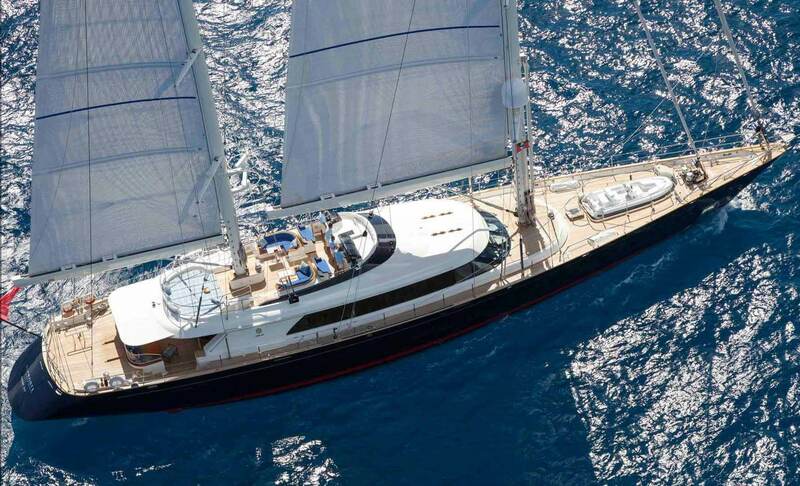 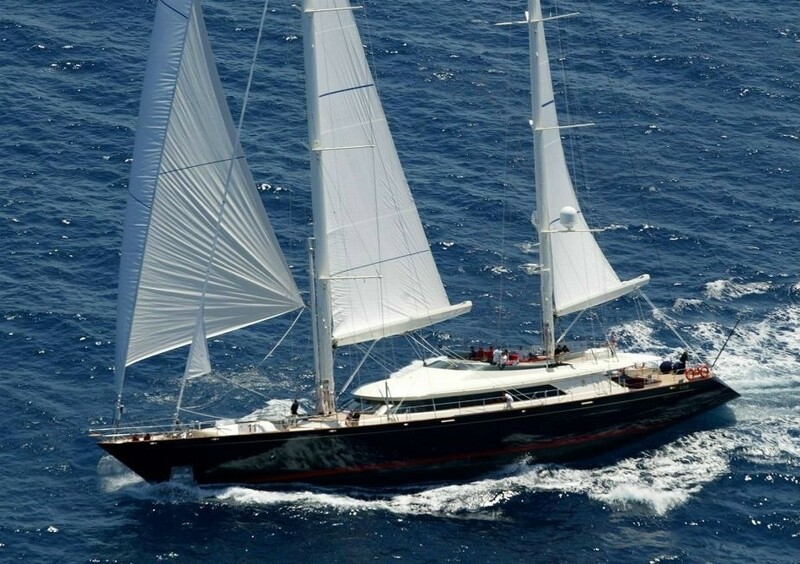 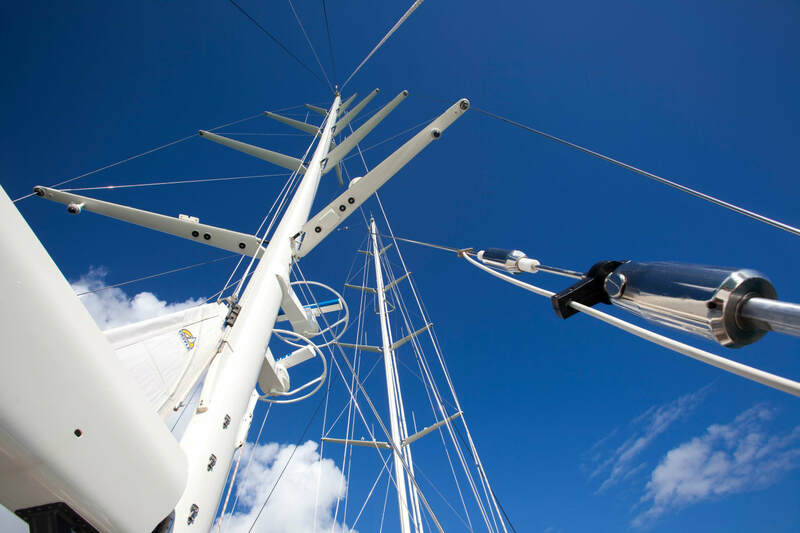 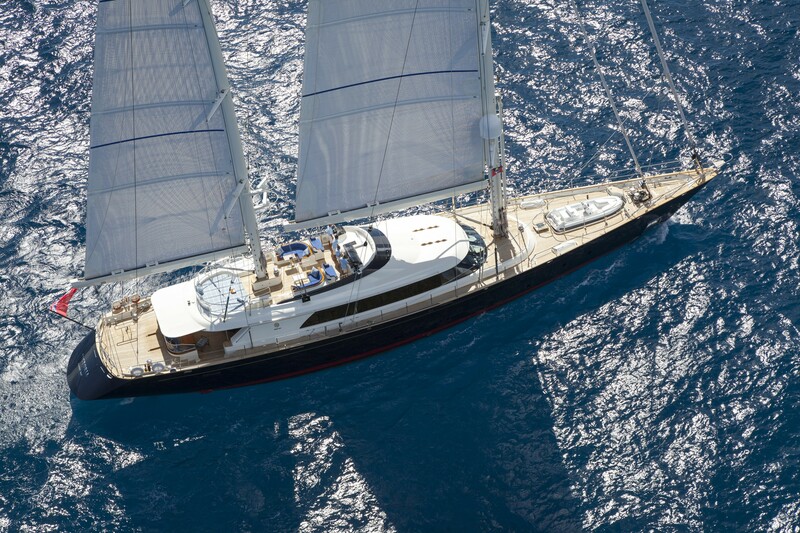 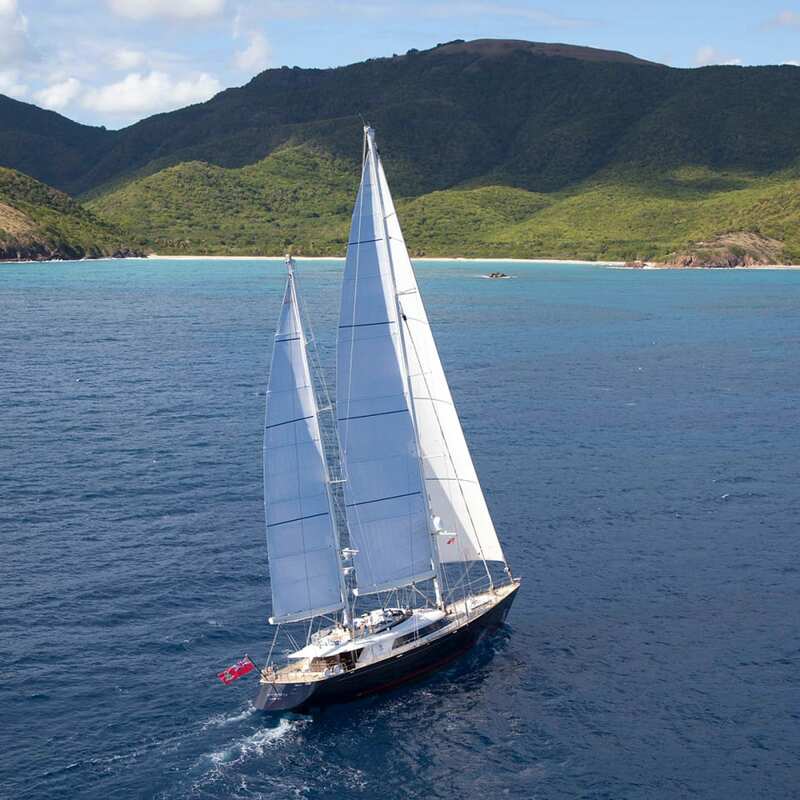 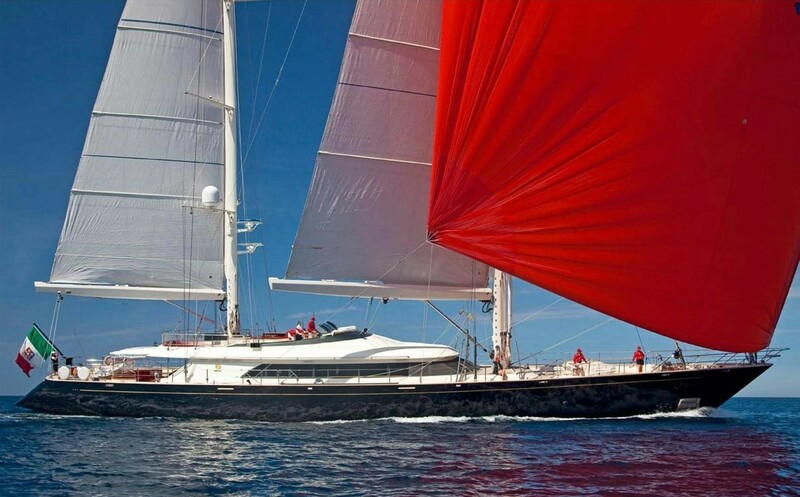 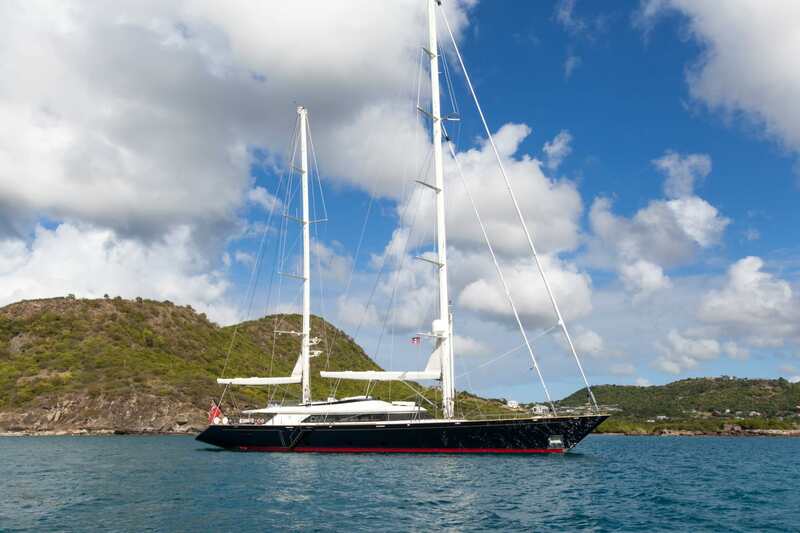 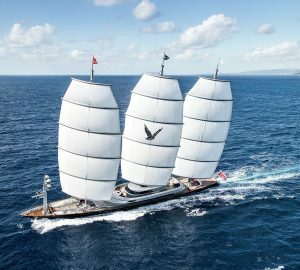 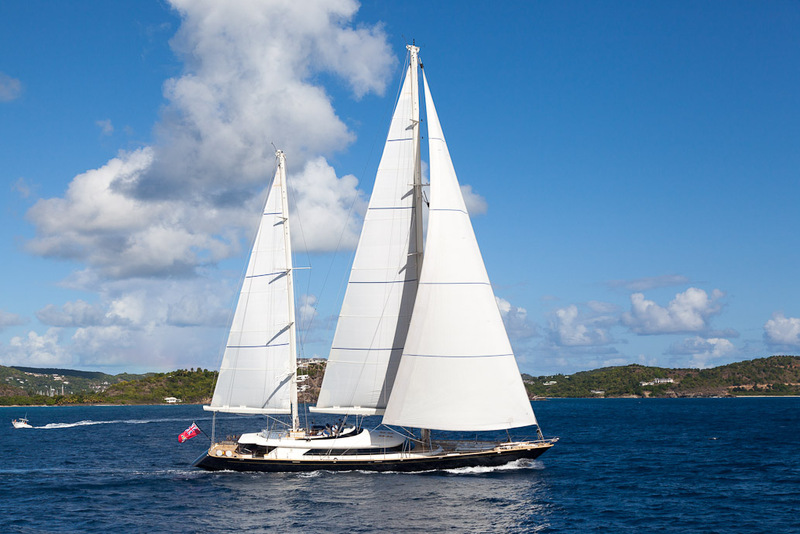 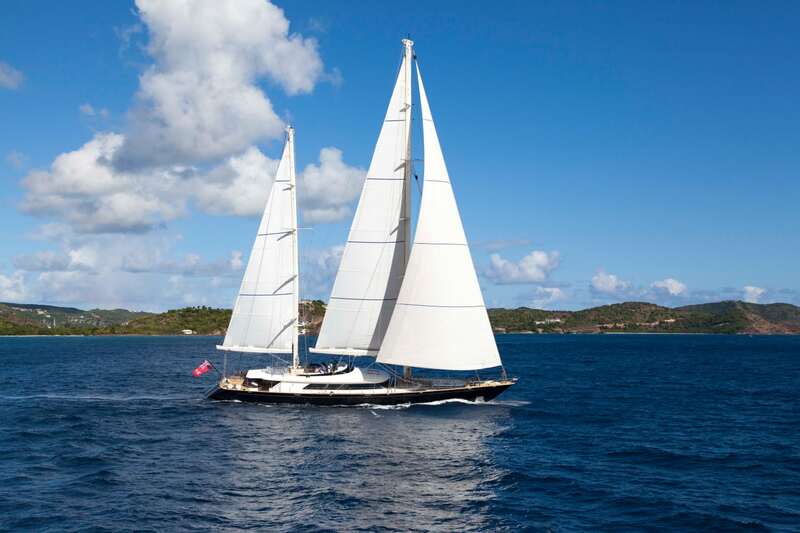 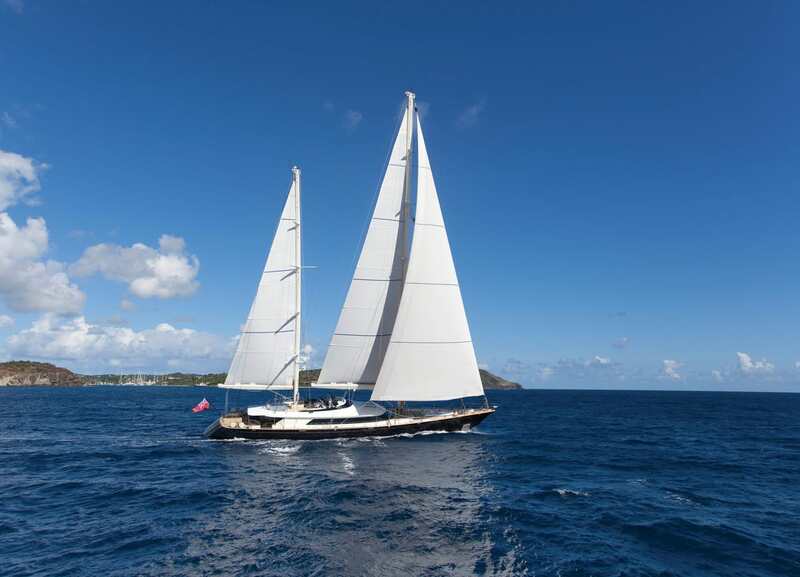 This magnificent sailing yacht has a professional crew of 7 to attend to the ten guests onboard. 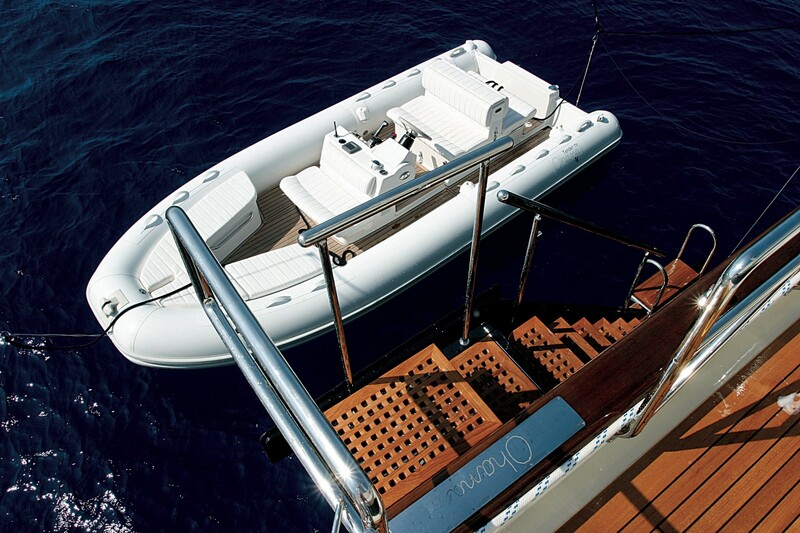 Powered by Deutz engines gives her a maximum speed of 12.7 knots and allows a cruising speed of 10 knots. 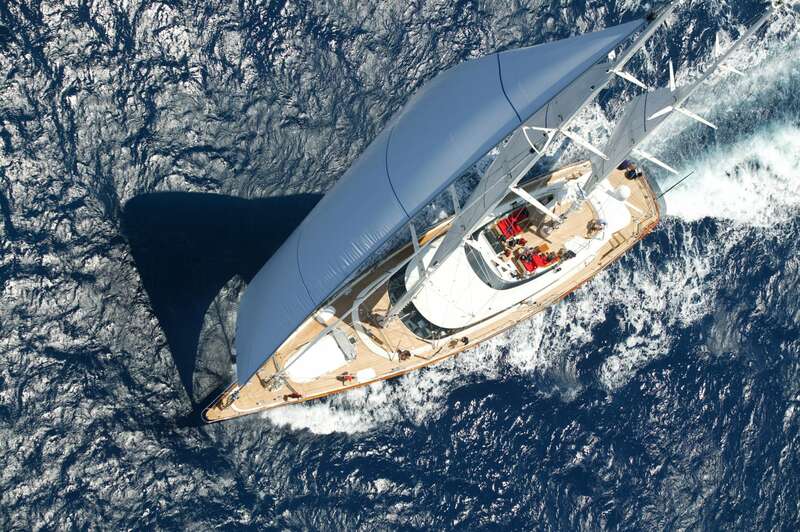 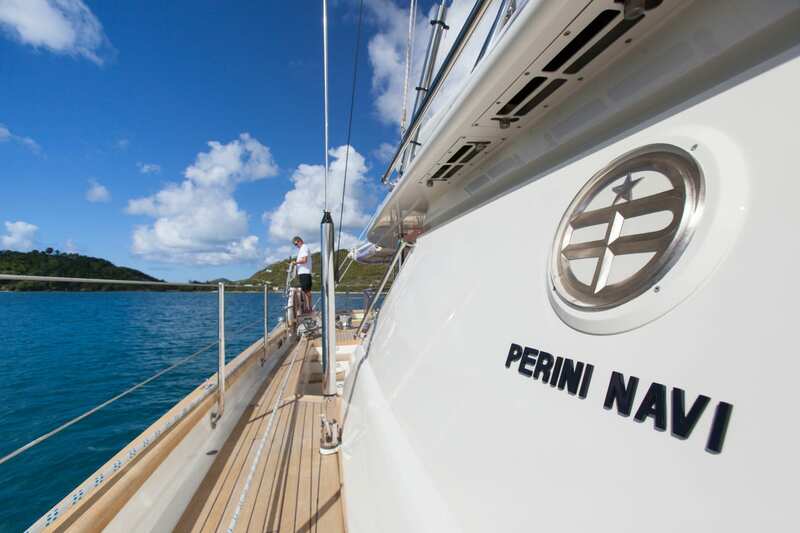 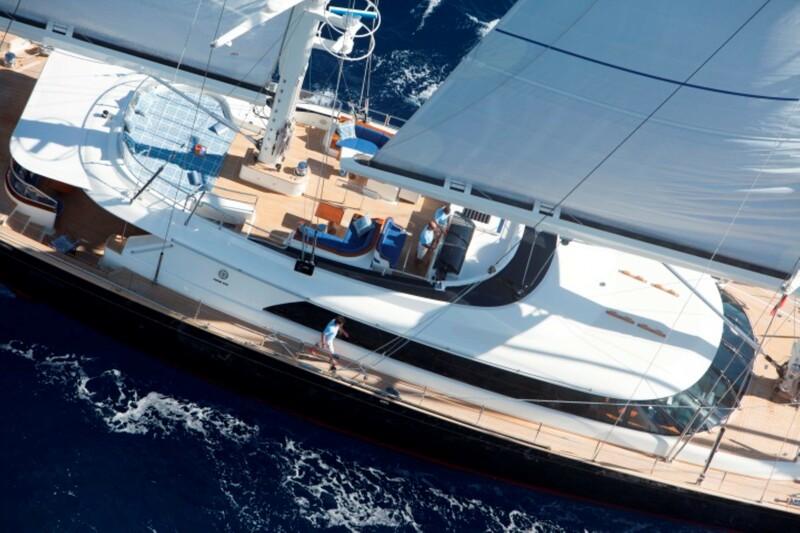 She has a range of 4,000nm and is an ideal yacht for regattas and racing events. 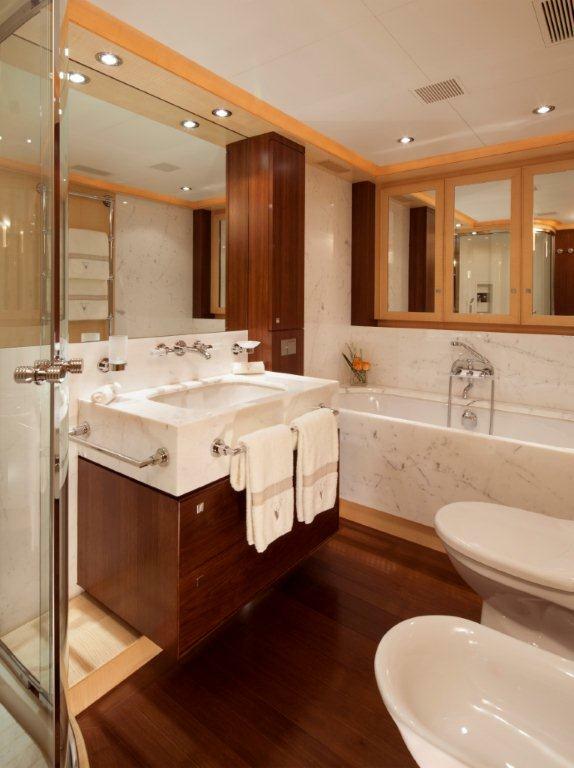 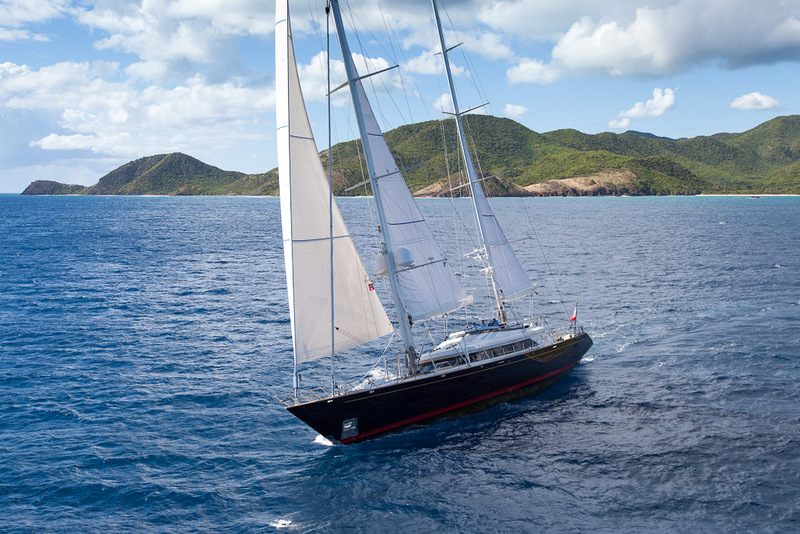 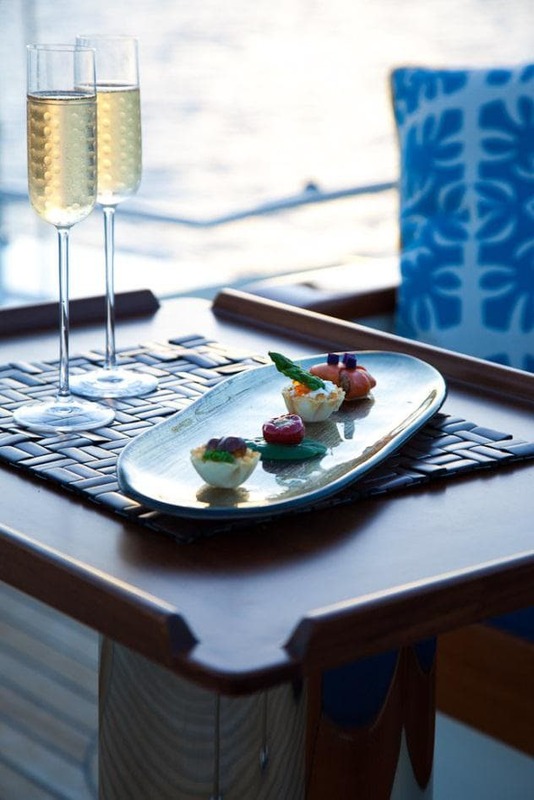 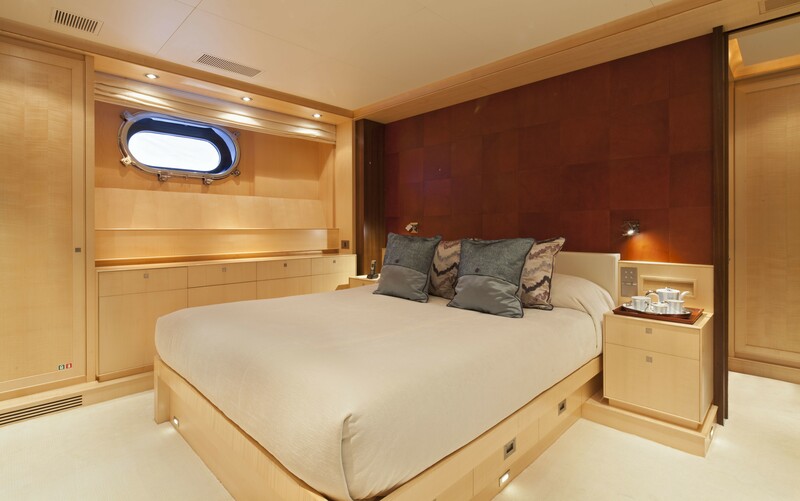 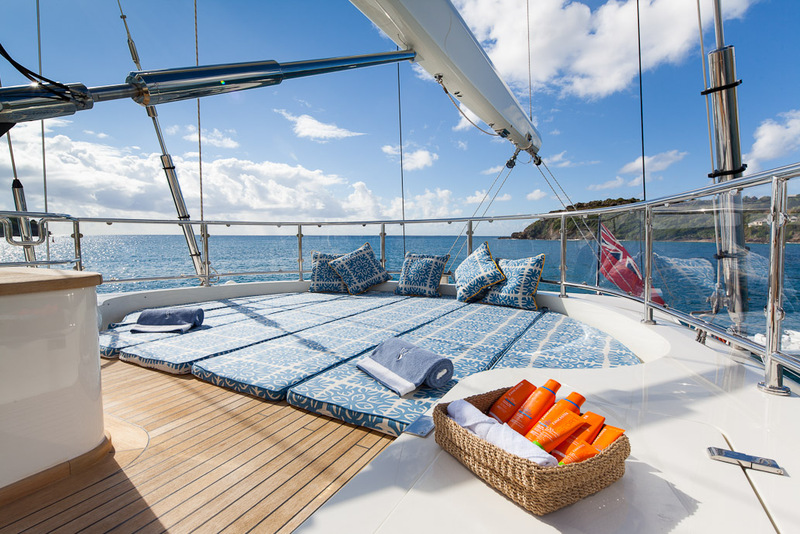 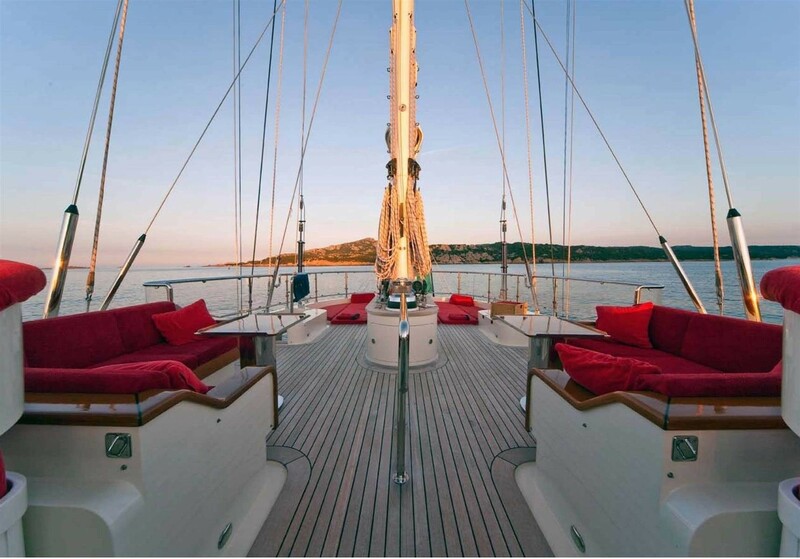 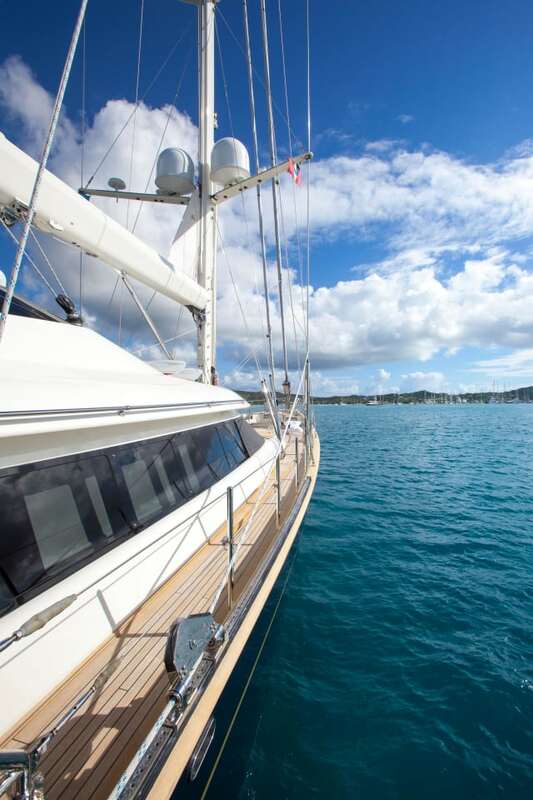 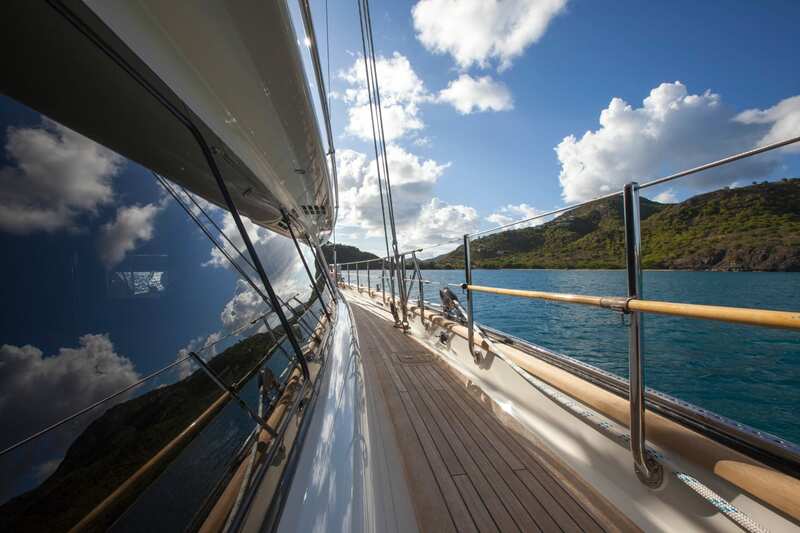 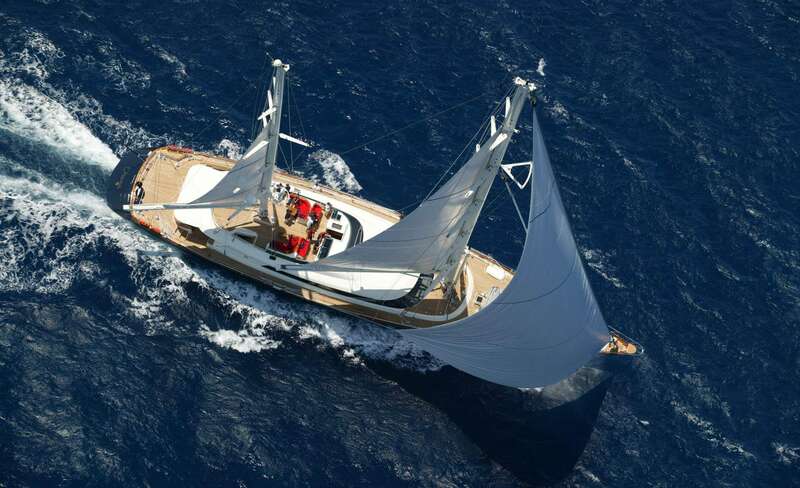 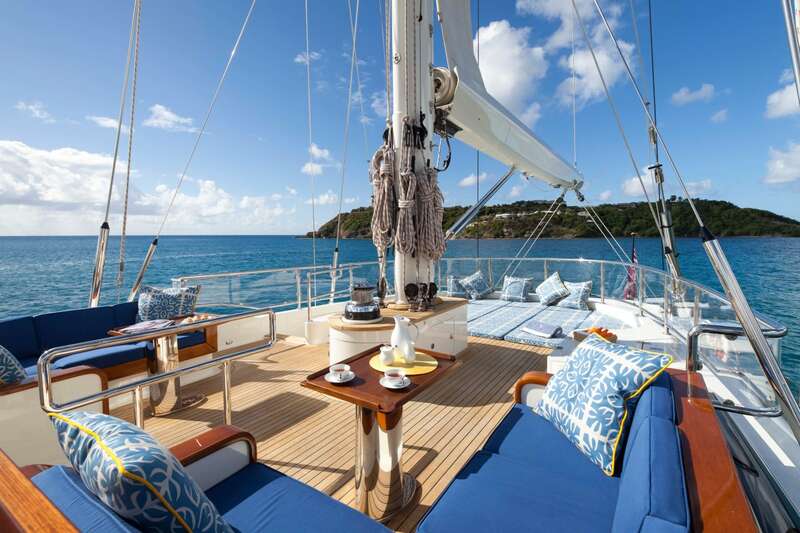 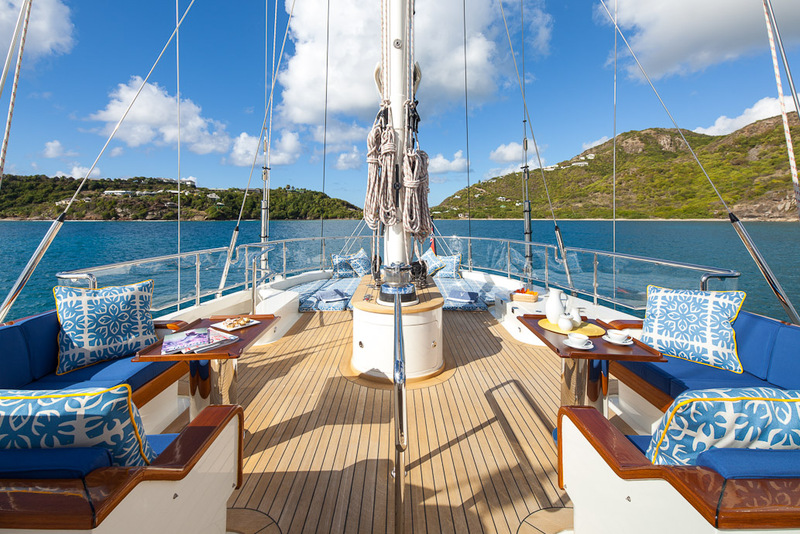 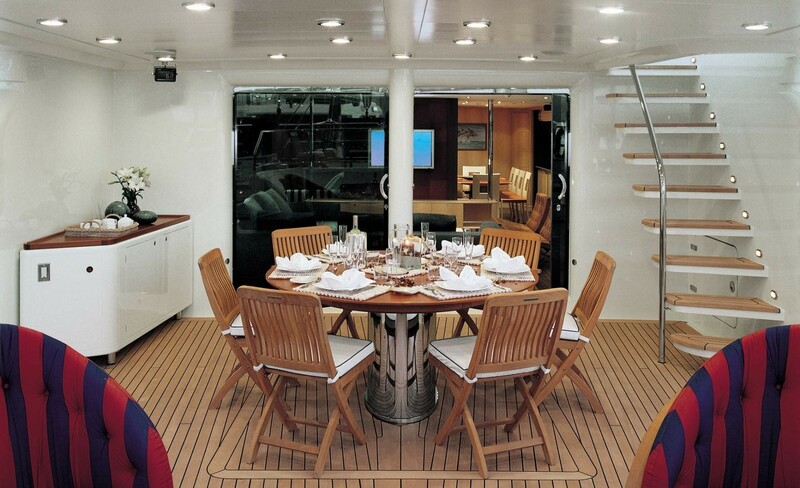 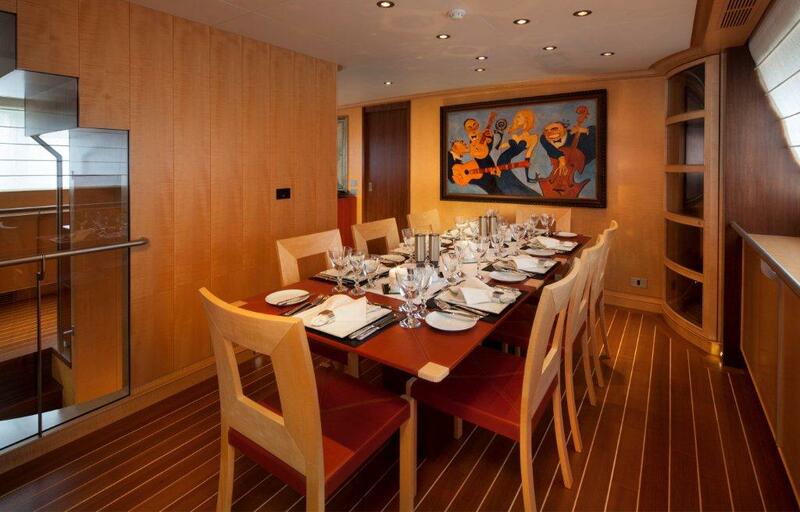 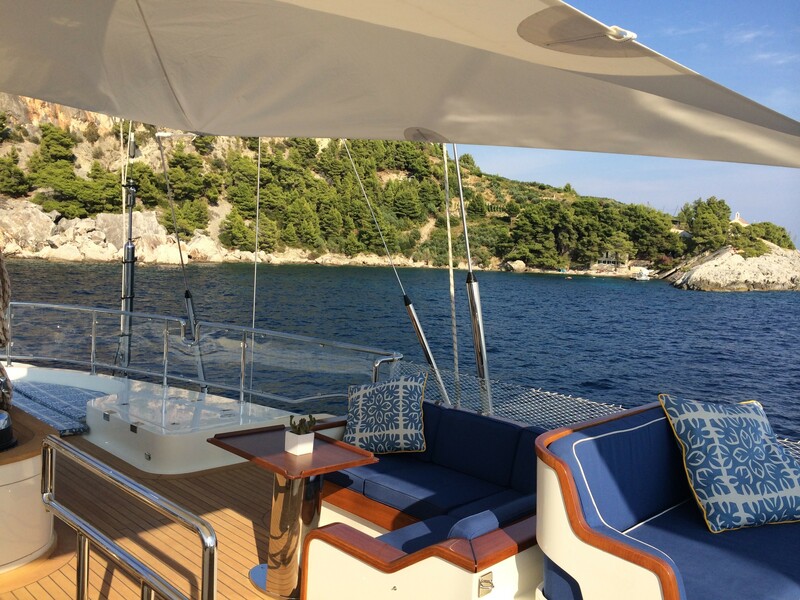 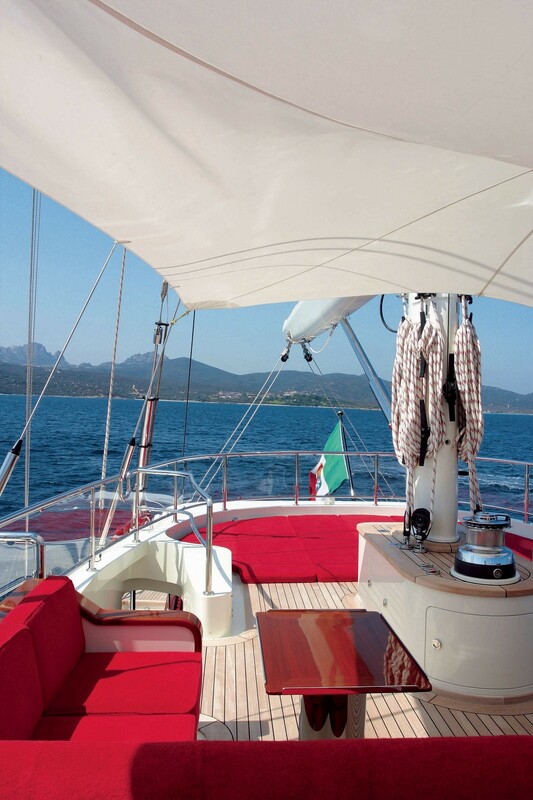 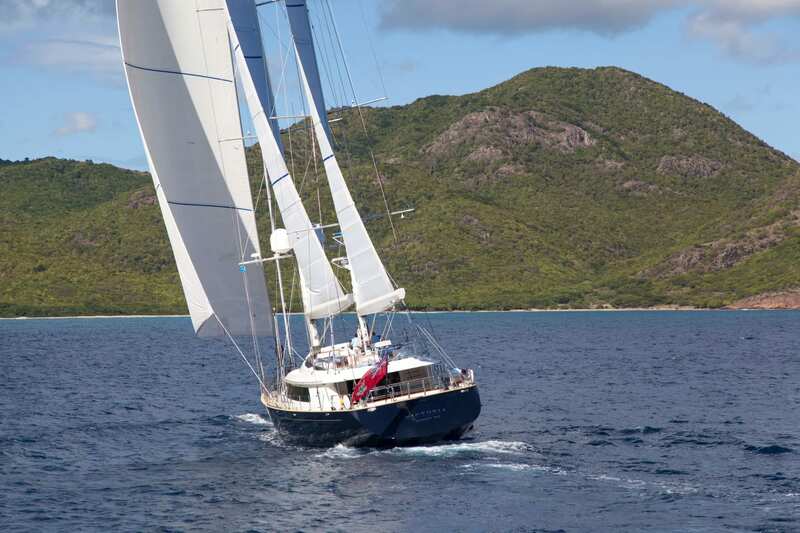 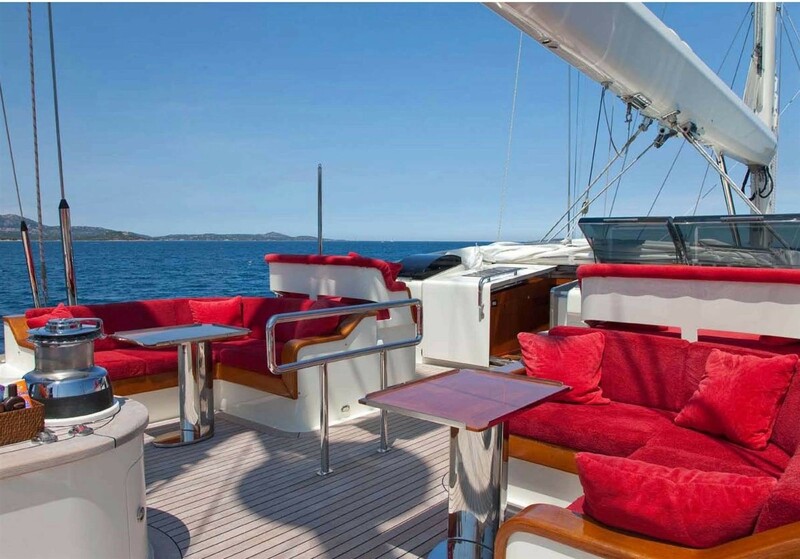 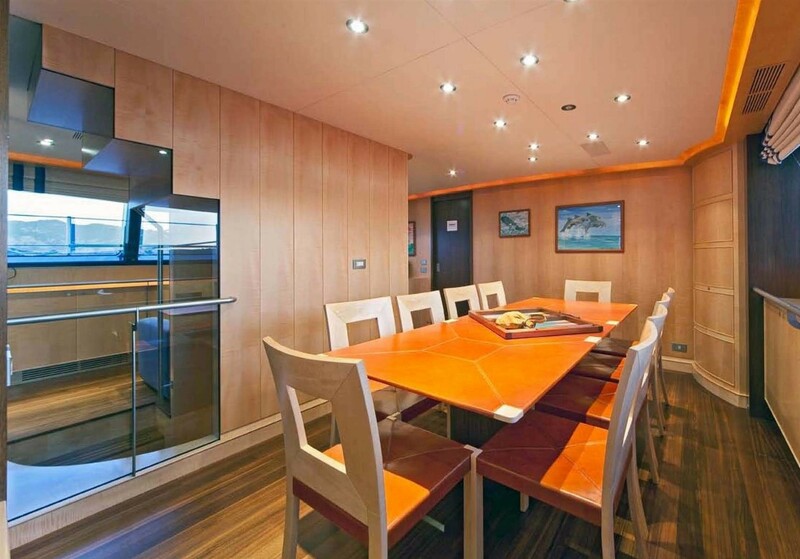 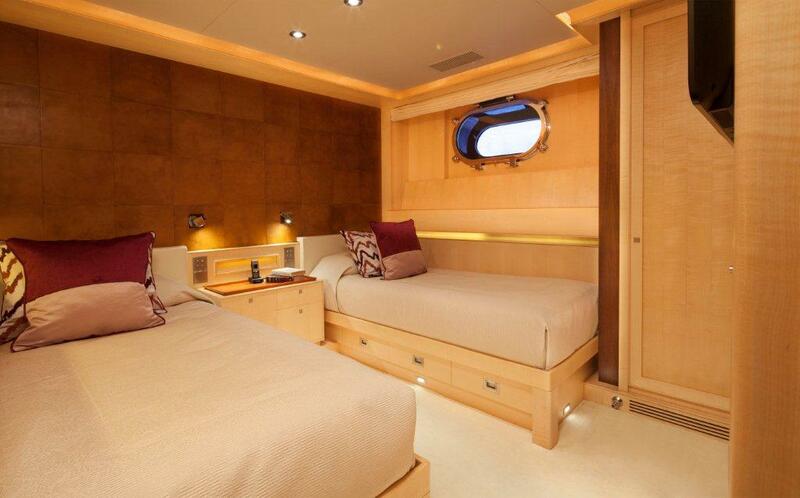 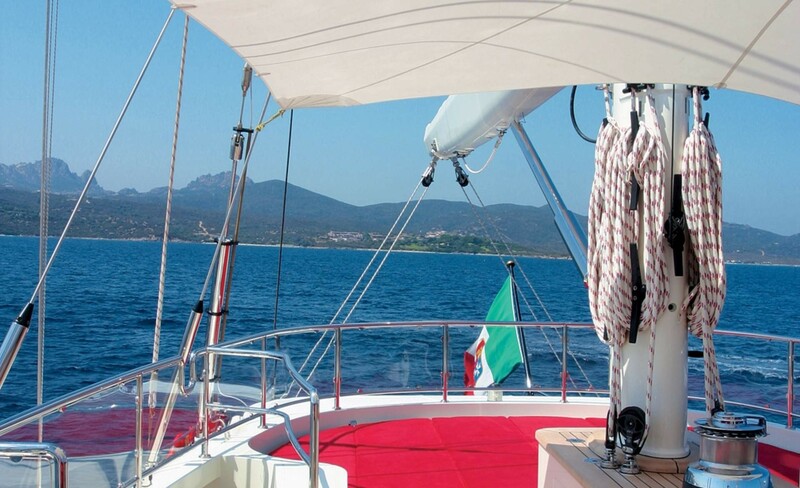 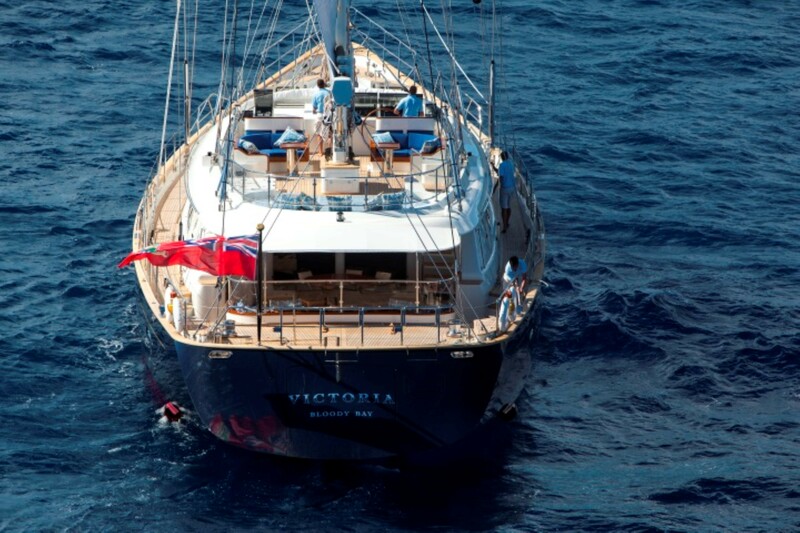 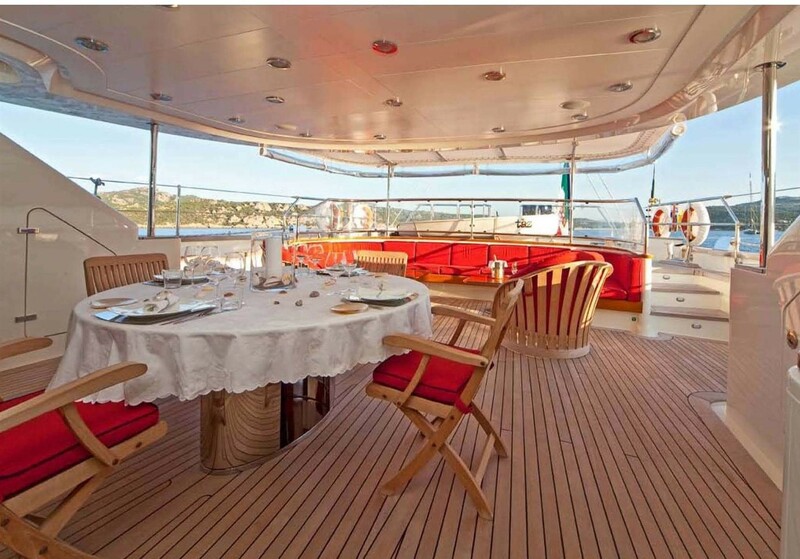 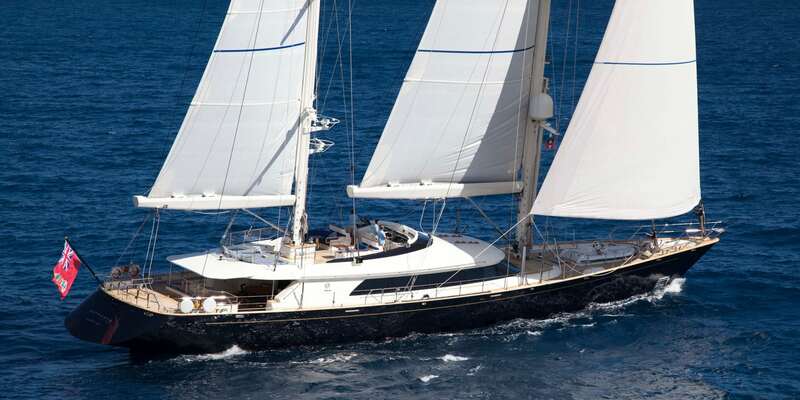 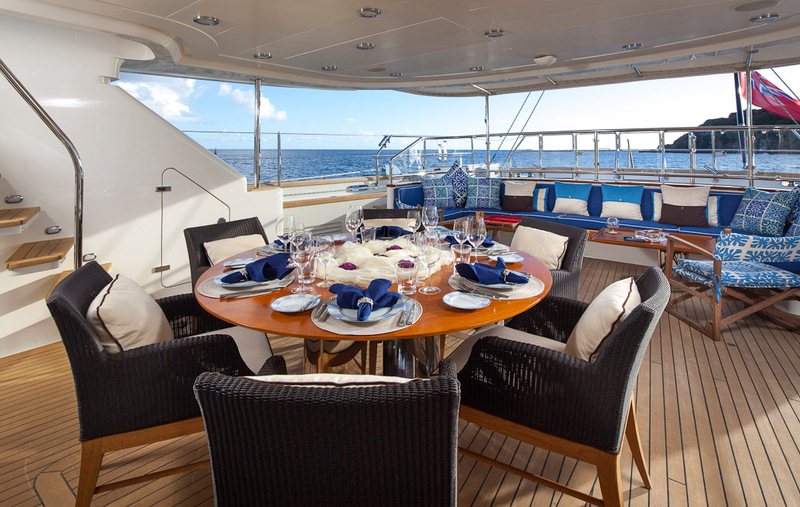 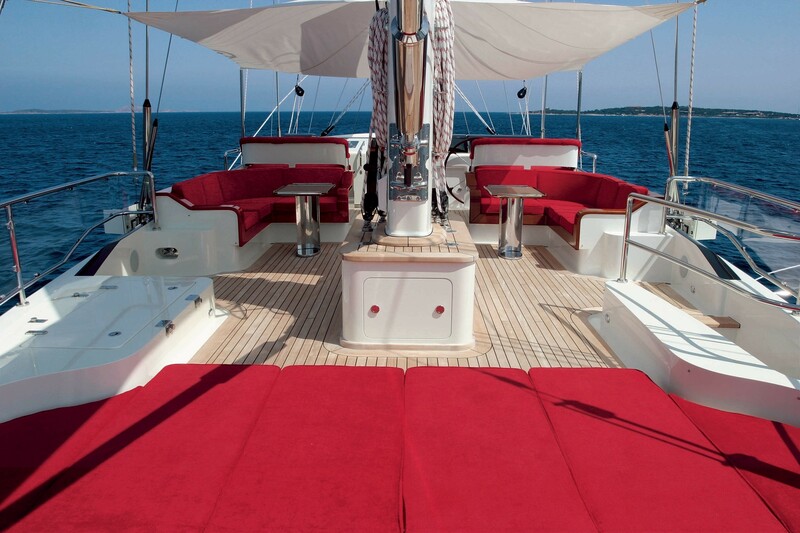 Luxury sailing yacht VICTORIA A features accommodation for 10 guests in 5 cabins. 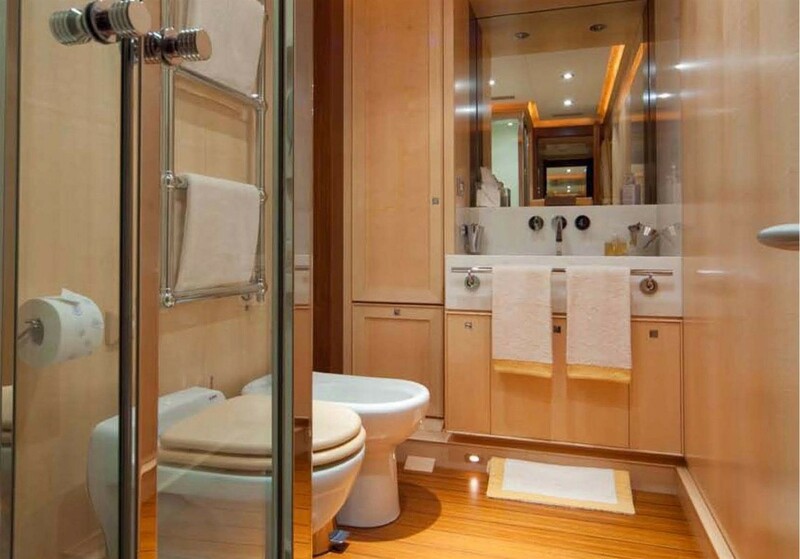 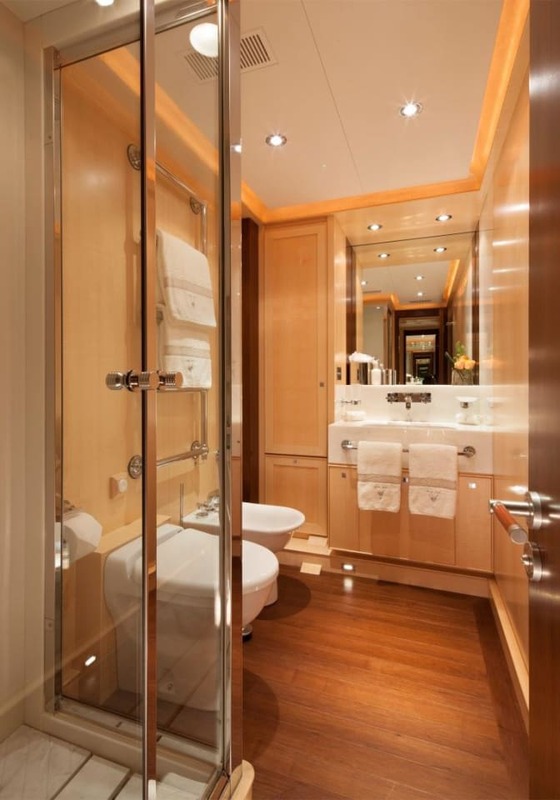 She has a Master cabin with King bed, bath and shower, two twin berths cabins (each with pullman) and 2 Queen berth cabins, all with ensuite showers.